Welcome to the second week of our Five for Five feature. This week, we have a Q&A and Kevin is delivering some hands on impressions of Odyssey, self-described as “The Next Generation Science Game” by developers, The Young Socratics on their Kickstarter page. Today’s Q&A is with Omkar Deshpande, a co-founder of The Young Socratics and co-creator of Odyssey where he tells us a bit about himself, what Odyssey is all about and his influences. Expect to see a few Enid Blyton references appear. We hope you enjoy this Q&A, and check back later this week for Kevin’s impressions of the demo build. The Reticule – Can you tell us a little bit about yourself? An engineer by education, a science buff by hobby, a father of two kids at home, and an aspiring philosopher by heart, I had a childhood fascination for Enid Blyton adventures and exploration-based puzzle games (apart from birdwatching). Upon discovering during my Ph.D at Stanford that science becomes infinitely more interesting when learnt through its history, I embarked (with my friend Vivek Kaul, who has a Ph.D from Georgia Tech as well as a number of Master’s degrees, and previously worked at Facebook on machine learning) on creating a game that teaches science the way we wish we had been taught, and also satisfies my childhood fantasies – and hopefully those of children around the world. In my past life, I graduated with a Ph.D in Computer Science from Stanford after doing research into human evolutionary genetics and cultural anthropology, and worked as a Principal Engineer at WalmartLabs (formerly Kosmix). 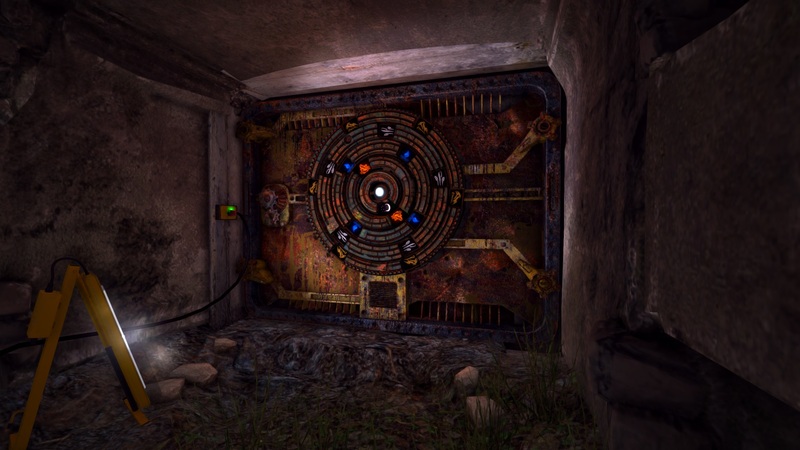 I grew up in India and studied computer science at the Indian Institute of Technology, Delhi before coming to the US for my Master’s and Ph.D.
Odyssey is a first-person exploration puzzle game in which the puzzles are based on the history of science. 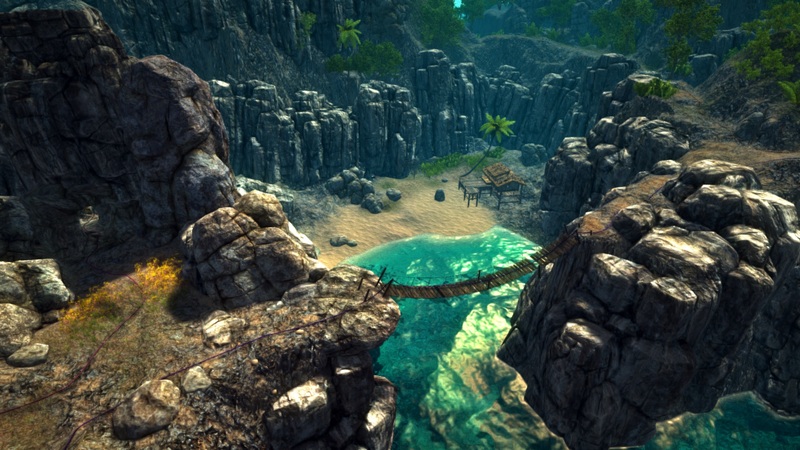 The player will embark on a quest to uncover the story of a family that is holed up on a remote group of islands that needs your help. Kai, a 13-year-old girl in the family, is the one who sends out a distress call to you as you’re sailing close to the islands, and upon landing on the first of those islands, you will find your path barricaded by a sequence of puzzles. But to help you get through them, you will find a sequence of journal fragments written by Kai. Reading those fragments is the key to learning not only the story of the family and why they’re in trouble, but also the way Kai has spent several months of her time rediscovering some of the biggest ideas in the 2000-year-long story of astronomy and mechanics, from the ancient Greeks to Galileo. Understanding those ideas through her journal will help you make sense of the models you will find during your exploration, and how to crack the puzzles built around the models, that would allow you to successfully navigate through the islands. There are three different sources of inspiration that came together in the design of the game. The first is our experience of learning science by retracing how the ideas were invented by the philosophers of the past. I still remember my very first exposure to such an experience – I had taken a class in evolutionary biology at Stanford, and while browsing through some of the video lectures in Green library, I came across a course on the history of evolutionary theory, and I found that I learnt the big picture about evolution much better through the historical course than the regular course. I wondered why we don’t learn every subject that way. When Vivek and I started teaching math and science courses at Stanford Splash using such an approach, we found that the children felt more motivated to learn. A second source of inspiration for me was the Enid Blyton adventures I used to read in my childhood. I always felt great pleasure in vicariously participating in those adventures through reading, and always wished I could experience an adventure like that in a more immersive way. Stories like the Island of Adventure, the Sea of Adventure, and The Adventurous Four have influenced the way we designed the islands. A third source of inspiration for the game was Myst. I played it back in 1998 at my friend’s place during a sleepover, and for two nights, I barely slept as I got swept into the experience of journeying through the islands while trying to figure out all the puzzles. Educational games generally tend to feel quite overtly educational, and there is either no storytelling or it’s patched on top of the content in an incidental way. We have gone much further in developing the environment and story in the journal, and blending it with the history of science content in a very unique way. We are newcomers to the game industry and we feel excited to find people increasingly talking about game-based learning as a vital part of education in the 21st Century. As the barrier to entry for building realistic game environments becomes lower, it becomes more feasible to build increasingly more immersive educational experiences. To find out more about Odyssey, check out their Kickstarter page or find their successful Steam Greenlight page here.